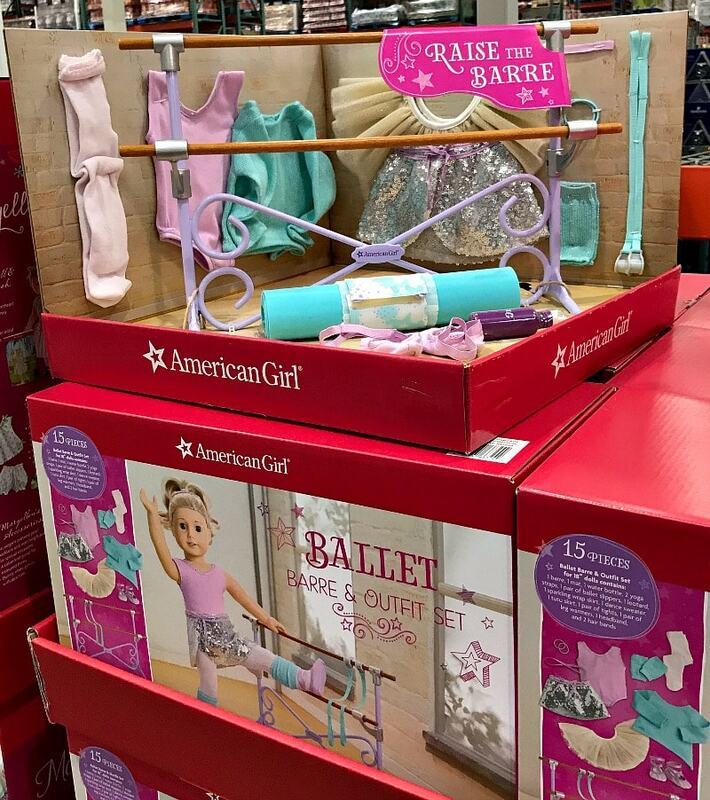 Costco is back with some great deals on American Girl items for American Girl doll fans this Christmas season. I found these items at my local Puyallup store, but selection may vary by store. If you do not see these items at your Costco store, keep checking back as they should be adding these items in the next week or two. They also tend to sell out faster of some of the items, so if you don’t see them at your store, keep checking back as hopefully they will restock fairly often. Let us know which items you’ve found at your local Costco store. 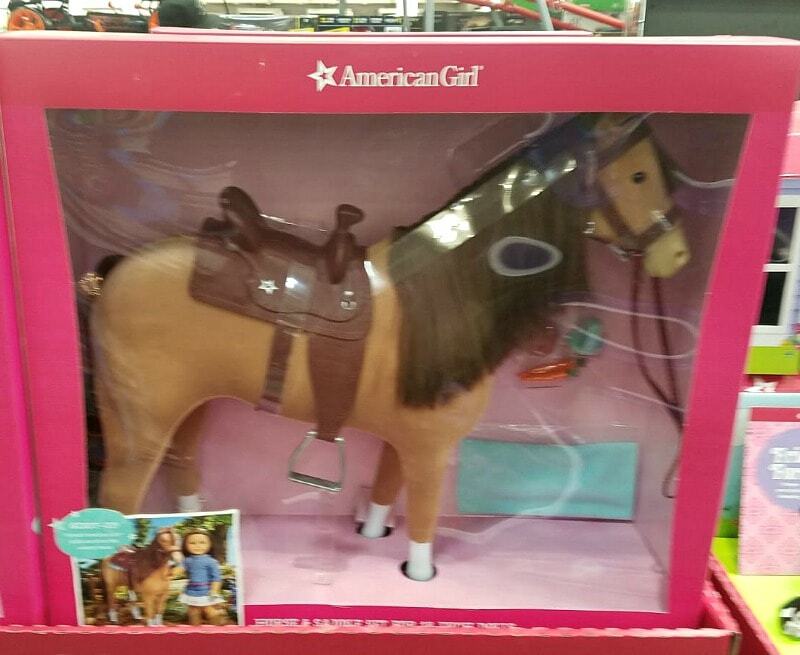 It’s always hard to find ways to save on American Girl items, so I love that Costco has been offering discounts for a nice variety of American Girl products for the last few years. I think they will bring in more items than this, too, as the toy selection was still more limited right now. 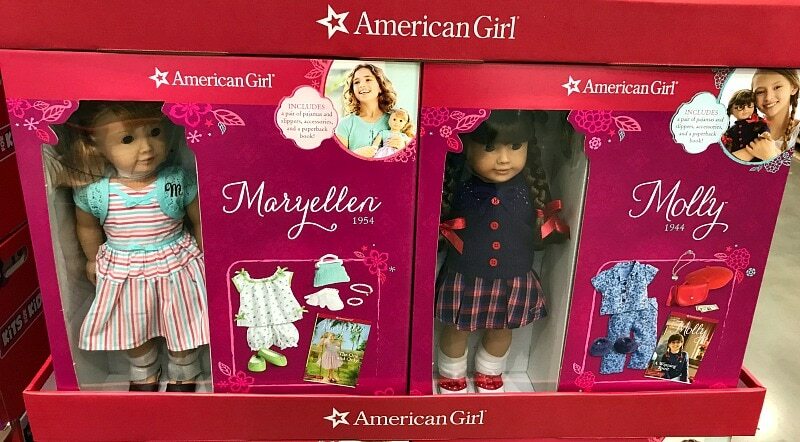 Make sure to check out our American Girl Doll Gift Guide with lots of great ideas for the American Girl fan such as ways to save on American Girl dolls, accessories, furniture, clothes, books, movies & much more!! This is a set with the 2 options for the Doll – you can pick either the Maryellen or Molly doll. With the doll, you will get a paperback book as well as pajamas & other accessories. At the American Girl doll store or online, the doll & paperback book alone is $115, however this deal also includes the outfit & other accessories, so it’s definitely a savings over the store. 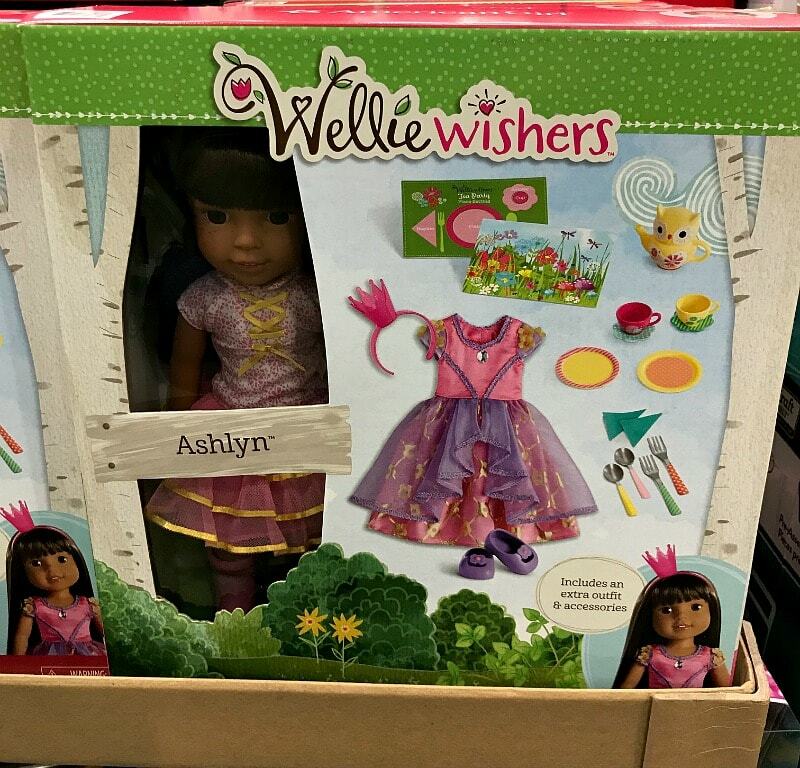 This is a set which includes a Wellie Wishers Doll, extra outfit, Accessories & more. These dolls are recommended for ages 5+. At the American Girl doll site, the doll costs $60, outfits at least $28 & this also includes additional accessories, so it’s a great price. This is a 15 piece set which includes the barre, an outfit & much more. There are a variety of dog or cat plush animals for you to choose from, which also include a 64 pg Activity book. I can confirm that you can use the AG gift cards for dining — except for gratuity. I called yesterday to confirm. Awesome – thanks for letting us know! Will costco ship the American girl doll? Does anyone know when they will put the Kit Kittredge American Girl dolls out at Costco? Thank you! Kim – we don’t know what Costco will be selling exactly or when they will put more toys out, but we did hear from a reader who works at Costco, that she expects that there will be the full size American Girl dolls for sale again this year (not sure which specific doll/dolls though) and she thinks they should be receiving them soon. So, we will keep our eyes out! Costco has Kit advertised for their warehouse sales only in the October Connections Magazine :) She is coming!! Oh how did I miss this in the magazine? I should have looked thru the whole thing! That’s exciting! Thanks for the update! 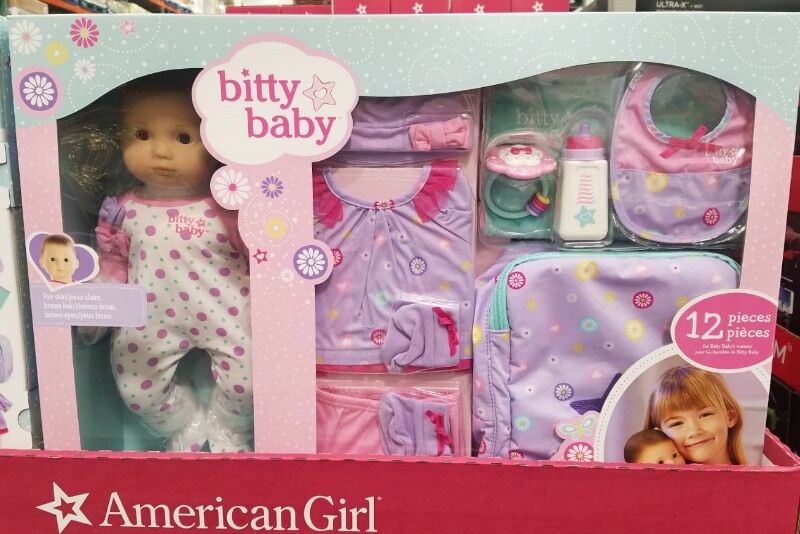 Any Word on if they will be carrying the Bitty baby sets again this year?? We do not know yet about the Bitty Babies, but definitely have been checking back! And will update this post when we hear from any readers who may have spotted them. Thanks! They had hurry babies today at costco. Bitty babies. Sorry for typo. hello! at which location did you see the bitty babies? thanks! Thanks so much for the update Nat. we will check a few other stores and then share! The Kit doll was at Costco last week and was still there today when I went. Ours has Kit as well but no bitty baby…yet! Thanks for letting us know, Cyndi! We’re headed to check ours out & see what all they have available. Hi – Do you know if Costco will have the $100 American Girl giftcards for $79.99 like they did in the past. They did not last year. Having two girls — this was missed very much! Hoping it will come back in 2017 :) Thanks! Where do I find the today show deals?? Hi Caroline, We did not share the Today show deals as they sold out so fast. Unfortunately those offers can sell out within a few hours at most. 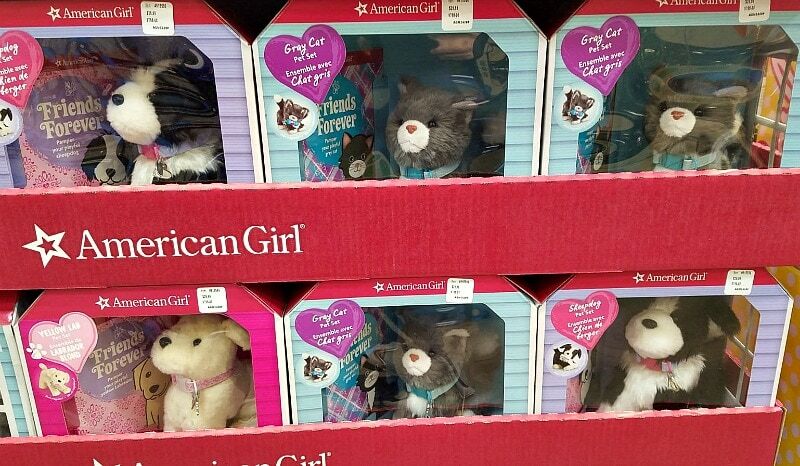 But Costco does have some great prices on American Girl doll items if you are still looking for gift ideas. Hi Aimee – I do not think they would price match Costco as this is a special offer only for Costco, but it doesn’t hurt to try calling Costco first & ask if they have any African American bitty babies at a local Costco near you. 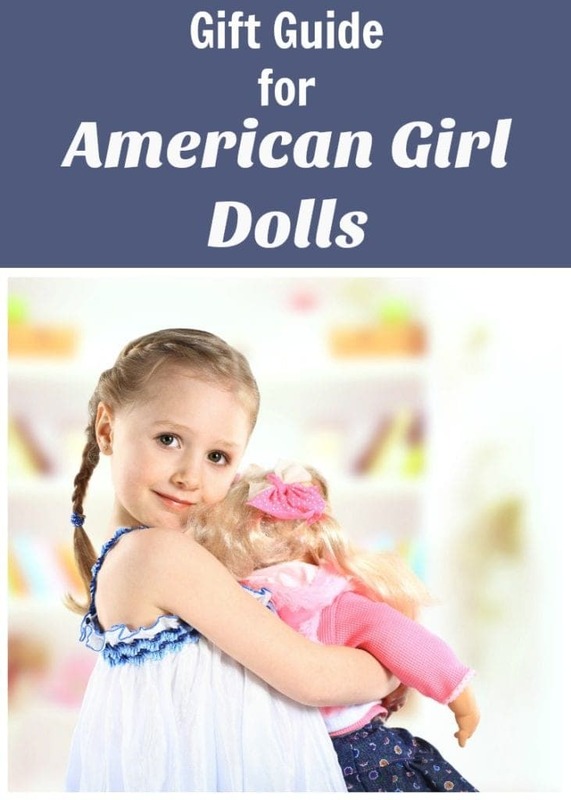 If not, then it wouldn’t hurt to ask American Girl, as you never know if maybe they would at least offer some sort of a discount or let you know what sales might be coming up. They did just have savings at the American Girl store thru yesterday, where if you spend a certain amount, you would save. It was up to $20 off if you spent $100. That sale just ended, but maybe they could extend it for you?